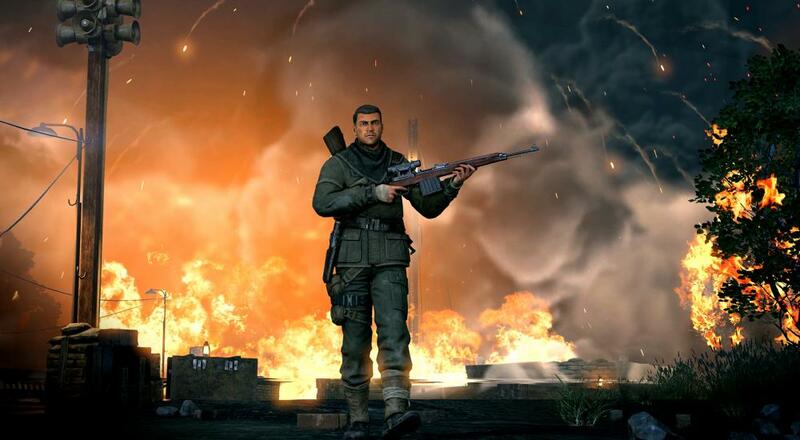 UPDATE: Sniper Elite V2 Remastered will be available on all platforms on May 14, 2019. Outside of the upgrades, not much else is getting changed for this version. You'll still be able to play through the campaign with a buddy online, or tackle the three Co-Op modes (Overwatch, Kill Tally, and Bombing Run). It's worth noting that if you played the original on PC via Steam, this remastered version will not be offered as a free update to that; you'll have to buy it again. Saved games also won't transfer over, and the remastered version isn't compatible with the original when it comes to playing co-op. There's a full FAQ over on the Steam page. That's not the only Sniper Elite news, though. The Switch will also be getting the Sniper Elite 3 Ultimate Edition that not only includes all previously released content, but it will also support two player co-op via a local wireless connection so you and a buddy can enjoy all the sniping action within the same relative space. Alongside these two announcements, Rebellion also revealed that they are working on two other Sniper Elite projects: Sniper Elite VR and the next Sniper Elite game (no title has been given). More details about those projects will be provided at some point in the future.